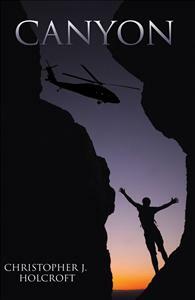 Canyon is a fast action story Young Adults looking for adventure must read. It takes readers on a page turning escapade into the great outdoors where misadventure can befall anytime. Scott Morrow and his Venturer Unit take a canyoning trip that pits the youths against raging elements and forces them to make a life and death decision nobody wants. The actions of the deft teenager unite a nation behind him with the Prime Minister sending Army Commandos and a Blackhawk helicopter to make a daring rescue attempt to save Scott and his injured mate. Hundreds of Rover Scouts join the race to help save Scott, the boy who brought them to national prominence and gave the Australian community a new force in rescue management.